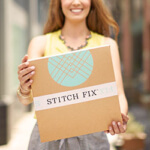 At Stitch Fix HQ, our style is (admittedly) beholden to our fickle Bay Area microclimates. 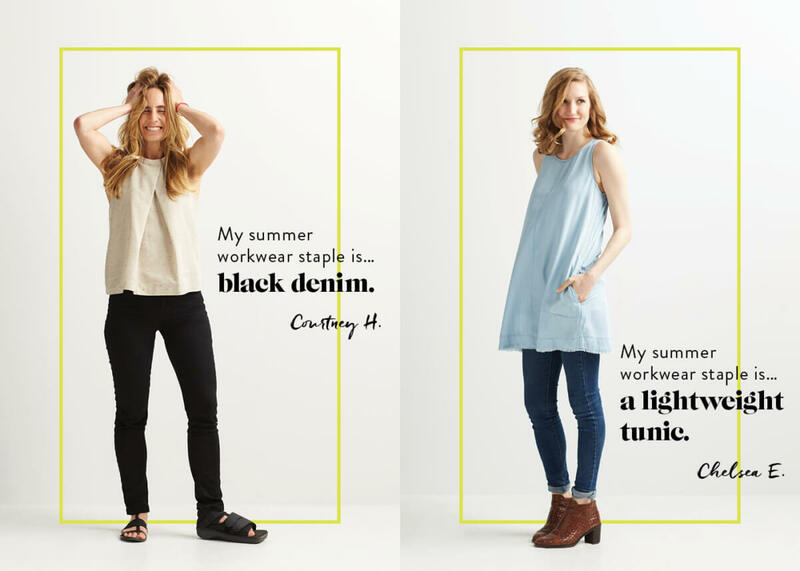 But, that's not to say we don’t pounce on the opportunity to update our summer workwear style in the hopes that blue skies and sunny days are ahead. 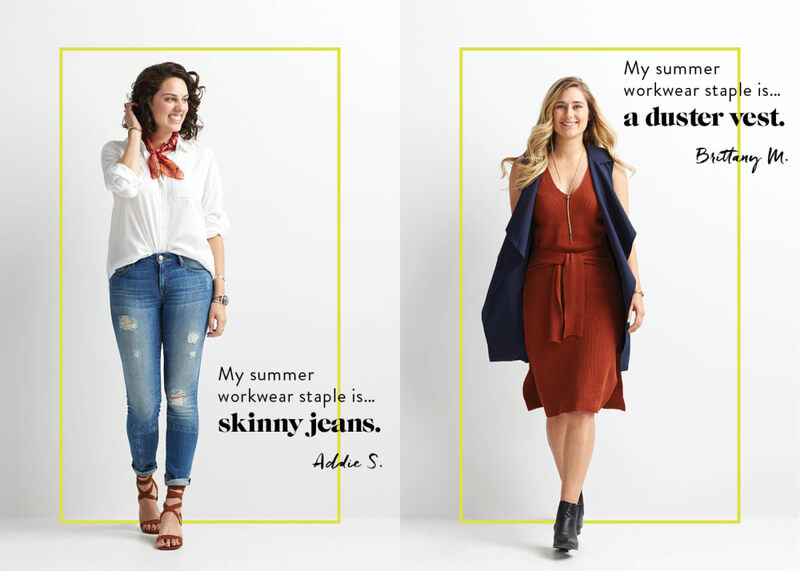 Keep reading to learn more about our team’s summer must-haves! 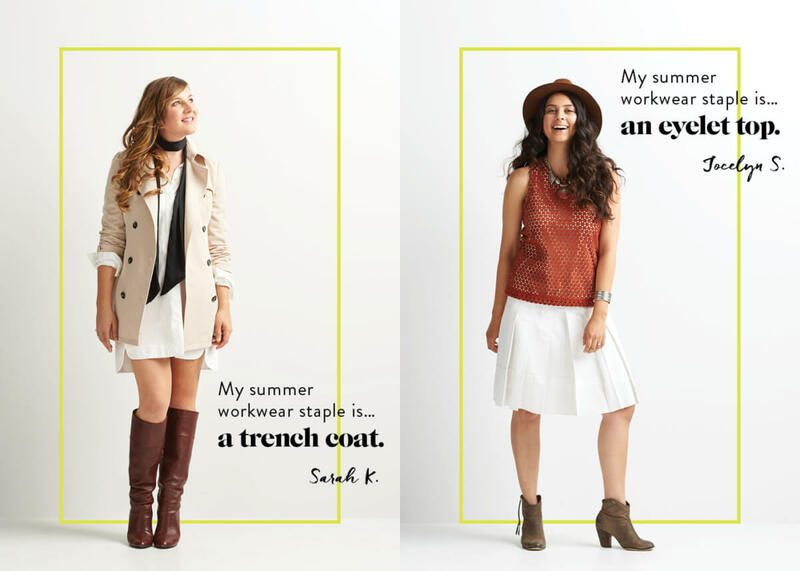 A trench transitions from outdoor to indoor. Skinny jeans act as your foundation piece. Don a duster for a breezy layer. 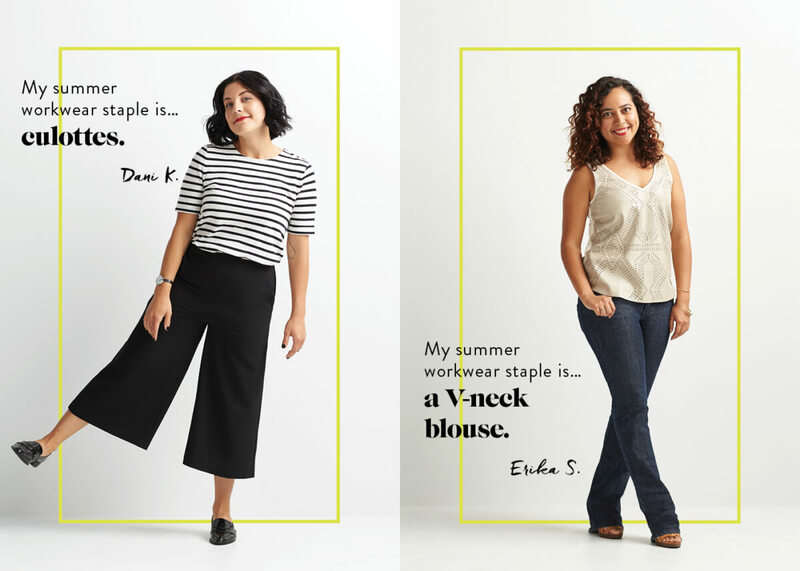 Black jeans can be a year-round staple. Keep it cool in culottes. A bright color (or two!) brightens your mood. All-black is the easiest way to stay chic. 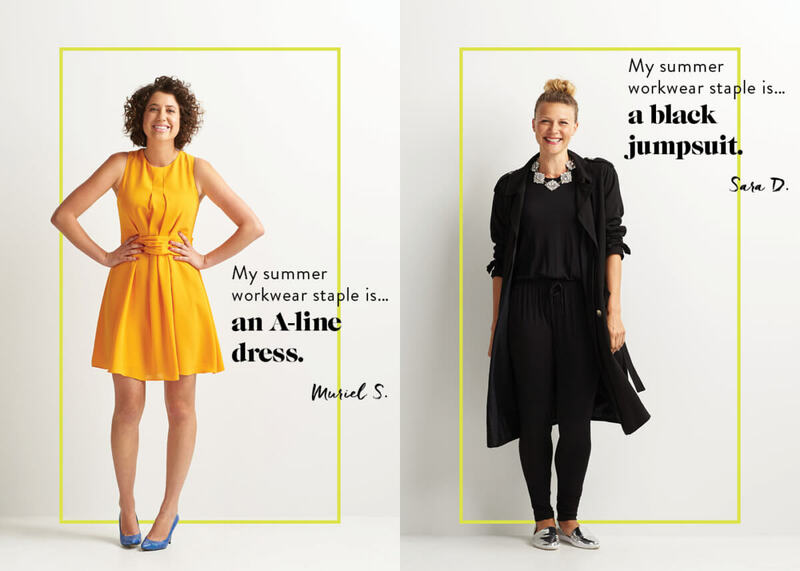 What are you wearing to work this summer? Will you incorporate any of these tips?